If you are looking for a flooring solution that allows you to make a fashionable statement while supporting the environment, you could choose parquet flooring made from reclaimed oak or an exotic African hardwood. Interior designers are looking to 17th century Versailles for inspiration to create a style statement using reclaimed hardwood parquet flooring. The Palace at Versailles houses an example of a magnificent parquet floor that was designed in 1684 to replace a decorative marble floor. Parquet floors became the popular choice for the wealthy, as the decorative geometric patterns favoured by the aristocrats of the day required craftsmanship and precision to manufacture each block. The term ‘parquet’ comes from 17th-century France and means ‘little wood’. The blocks of wood, made from various wood species, were precision cut and then laid out in a pattern over tie bars to hold them in place. Once the pattern was finalised, the blocks were nailed down. Today you don’t have to be a wealthy Parisian aristocrat to afford a solid wood floor. The beauty of reclaimed wood is that it is relatively inexpensive way to get yourself a solid wood floor that is beautifully patinated with years of history. Reclaimed wood is also kind to the environment; therefore, a reclaimed parquet floor such as those found at Wilsons Yards will satisfy any eco-conscious decorator. Parquet is traditionally laid in a herringbone, basketweave, brick block or chevron pattern; however, there is no reason you can’t break with tradition and create your own unique design. 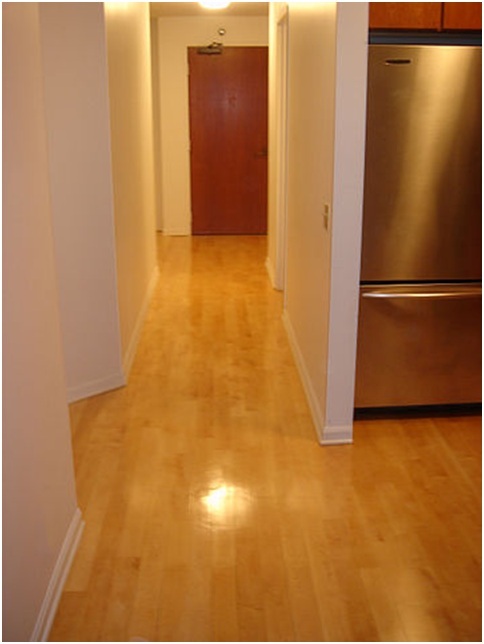 If professionally done, the floor should not swell or bow through the absorption of moisture into the joins. The beauty of parquet flooring is that it is tremendously hardwearing and gives a room a stamp of luxury and warmth that you only get from using a solid wood floor. Parquet flooring in Ireland also echoes a bygone era of wealth and craftsmanship, as each piece has to be lovingly honed and shaped to fit the overall scheme. The blocks fit together much like the pieces in a jigsaw puzzle. As reclaimed parquet is made from solid wood, it can be sanded down and varnished to create a beautiful and robust surface that can then be refinished as it ages; in addition, its longevity makes it a better choice than a cheaper laminate version.